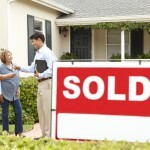 How Long Does It Take To Sell My House In Clovis With An Agent Vs An Investor? This part surprises most people: an investor can buy your house very fast – some investors can even buy in as little as 7-10 days if that’s what you want. That’s because the investor is the buyer (so no showings are necessary) and many investors (including us here at Central Valley Real Estate Buyer) buy houses in any condition so you don’t have to fix up the property either.